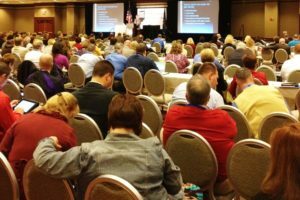 I recently found myself in a packed conference session full of school administrators trying to get the most up-to-date answers about the upcoming literacy component of the PARCC assessment that will be rocking the socks off our schools come 2014. It seems that everybody knows just enough to be really worried about the rigors of this new assessment and knows not enough about how to prepare students (and teachers) for the changes that will be necessary to be successful. I took pages of notes and have a list of new resources that are quite helpful, but have really tried to boil down the information to its essence to share with my schools. If I were charged with the task of preparing a school for what’s to come, here is where I would focus my energies… in this order. I’ve opted to address each of the recommendations in three separate blog entries that will post over the coming weeks. Please feel free to add how your school is ramping up efforts to prepare. It’s going to take a village if we intend to be ready. Regardless of where your state or district is with the transition to the new standards, administrators, teachers, and instructional coaches need to have their head around the six instructional shifts the standards will require within and across our schools, as well as the content and process implications at the classroom level. 1) Do close and repeated readings of the standards (all of them, regardless of teaching assignments) then use PLC time to really dissect what is being asked of students and discus implications for teaching. Discuss what teachers know and need to know to feel prepared to transition and implement. 4) Do a resource review of tools to assist with transition and implementation. 5) Get first-hand advice from teachers who are doing the work of CCSS. I’m curious to know what you are doing to prepare for the transition to CCSS and PARCC. Leave your comments below so we can build a bank of strategies to support one another in the cause. Be on the lookout for the second post in this series addressing recommendation #2: Get blown away by the PARCC prototypes. This entry was posted in Blog and tagged #CCSS #Common Core #PARCC #Assessment #Standards #Literacy #ELA. Bookmark the permalink.